Mary was troubled when the angel first came to her, but she accepted God's gift of Jesus humbly and with awe. In amongst all the busyness this season, let us accept God's gift with Mary's heart. We were nervously waiting for the doors to the small airport at Kajjansi to open, so that we could enter with our bags and rabbit cages. This was the point on our last trip that we were told we could not travel with the rabbits we wanted to take, as we didn’t have a movement permit. Said permit had been obtained this time, although it had been a job to track down the relevant authorities. The doors were opened by the airport police and we checked in each of our bags. When it came to the rabbits, they looked at the permit, but were satisfied that all was in order. Emily and I breathed a sigh of relief! We were returning to Moroto to deliver the second part of our rabbit training and to distribute a pair of rabbits for the project to start. Unfortunately, Nelson and Isaac from the last trip were unavailable, so we enlisted Eva and Hubert (former students, who have recently qualified) and Ronnie (a friend from church who has an interest in rabbit farming and is very helpful practically). Emily and I had spent a few days driving round Kampala looking for rabbits to purchase and Emily had had some travel cages specifically made for the flight. The drive to Moroto is 11 or 12 hours and the stress of this journey bouncing around in the back of a truck, may well have been the end of the rabbits. The flight up there is just about an hour, so we made the decision that the rabbits should travel in style! Our flight was early so we had to pack up and drive to the airport in the dark and just to hep further, there was a heavy rainstorm in Kampala that morning. Thankfully, as the sun rose, the clouds broke and revealed a beautiful clear day. As the Cessna plane lifted into the air with the rabbit cages safely strapped down we were able to view right across Uganda, from the Rwenzori mountains in the East to Mount Elgon in the West. 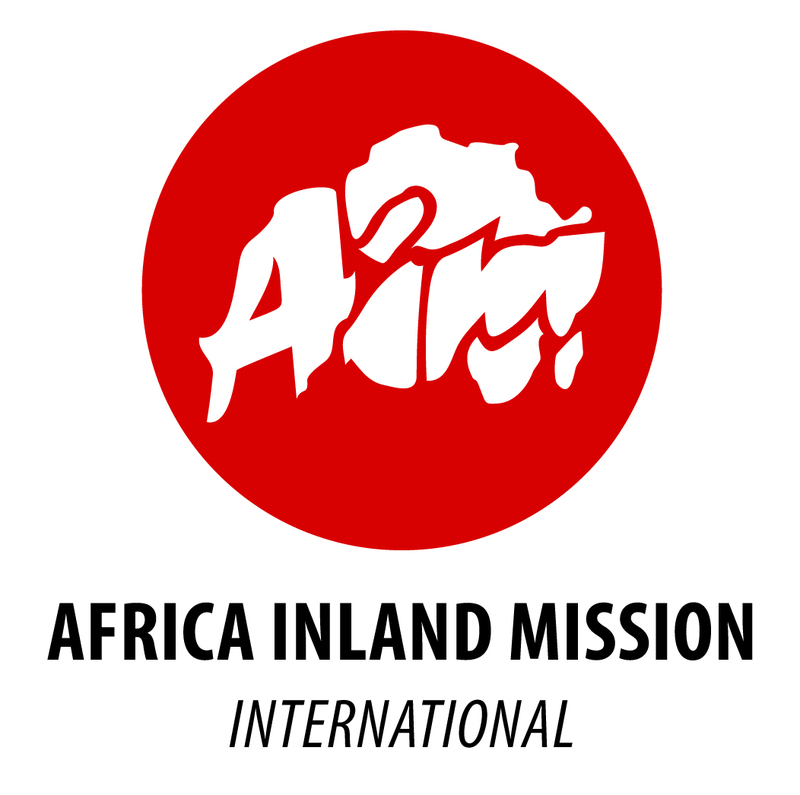 In Moroto, we were met by AIM co-workers, Lyle and Ben, who drove us from the airport to where we were staying. 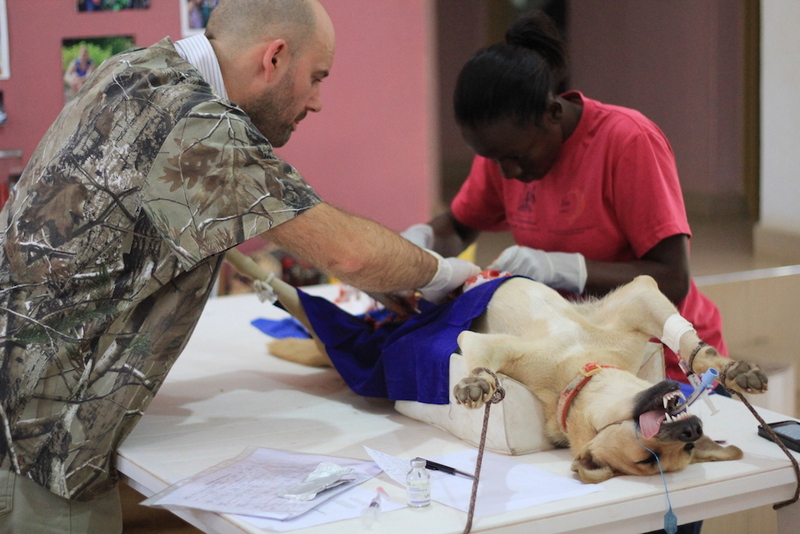 Our trip was also to perform some dog spay surgeries as small animal surgical services are not available up in Moroto. After the rabbits were settled with food and water, we made a surgical theatre in Lyle and, his wife, Ingrid’s dining area. We performed three spay surgeries with Eva and Hubert assisting with surgery and anaesthesia. All three patients recovered very well. On Tuesday, we had our first day of training where we repeated some of the topics that we covered last time. This was because a few members had joined afresh since the last training earlier this year. Eva, Hubert and Ronnie, also joined in presenting some of the topics and they did a great job. Tuesday evening, we visited some of our former CLIDE team members, who live and work in the next town to Moroto. It was so good to see them again and catch up. During Wednesday, the remaining topics of rabbit keeping were covered, including breeding and health management. We had a quiz with Jelly Babies as prizes, which went down well! Each of the trainings emphasises how God has given us the animals to look after and they are a blessing from Him. After the trainings, we visited the participants who had built their own rabbit houses and then we were able to distribute a pair of rabbits to each member. 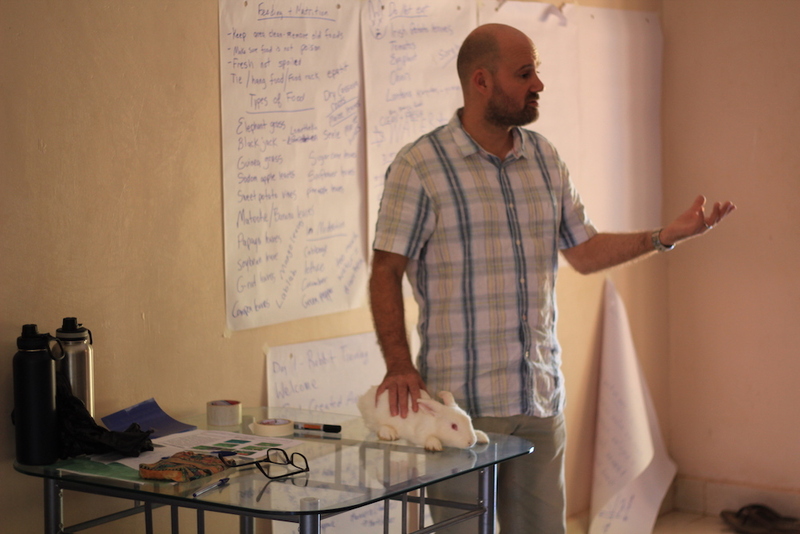 The participants have a commitment to return two rabbits to the project, within the first year, so that they can be given to another community member and keep the project sustainable. Lyle, Ben and Ben’s son, Josiah will be supervising the project and encouraging the members and we will be available for advice, if anyone is experiencing problems. The week in Moroto went really well and we were impressed by the commitment and enthusiasm shown by the members. We pray that this project will be a blessing to the communities in Moroto and that rabbit keeping will help families with their incomes and with improved nutrition. 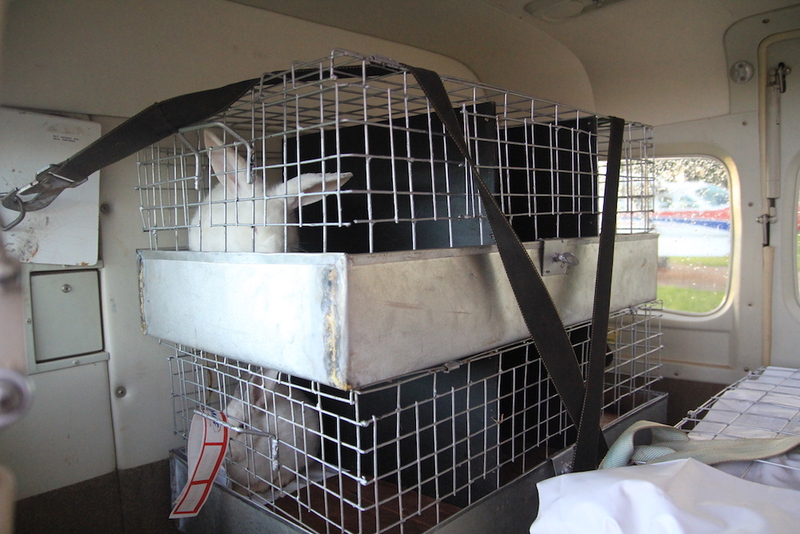 Rabbits being unloaded from the plane at Moroto airstrip. Rabbits strapped in safely. Ronnie and Emily in training mode. Eva operating. Training in rabbit handling. Rabbits entering their new home with George, one of the project participants. A Bunch of Christmas Fun! Christmas at Acacia is always an exceptionally busy time, but it came this year with a number of amazing fun activities that blessed and inspired students, teachers and parents. 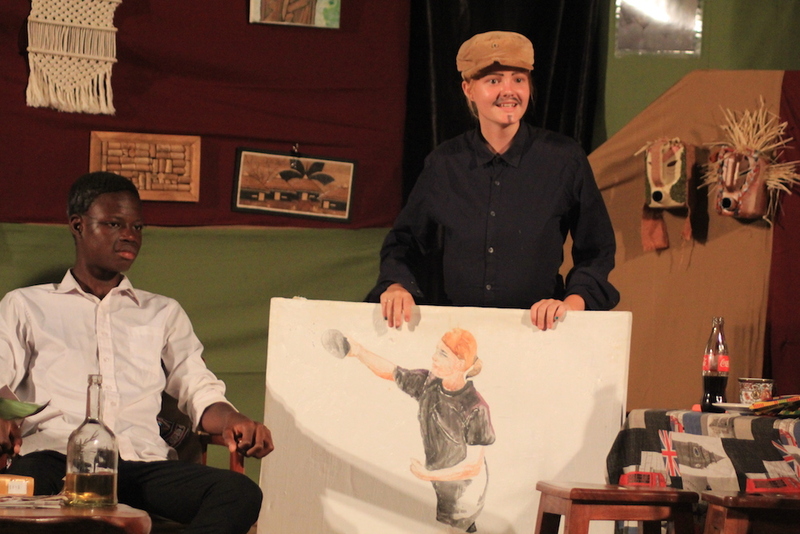 The senior school put on an American play called ‘You Can’t Take It with You’. It is a comedy and the students did a great job and had many of us parents rolling in the aisles with their expressions and comic timing. 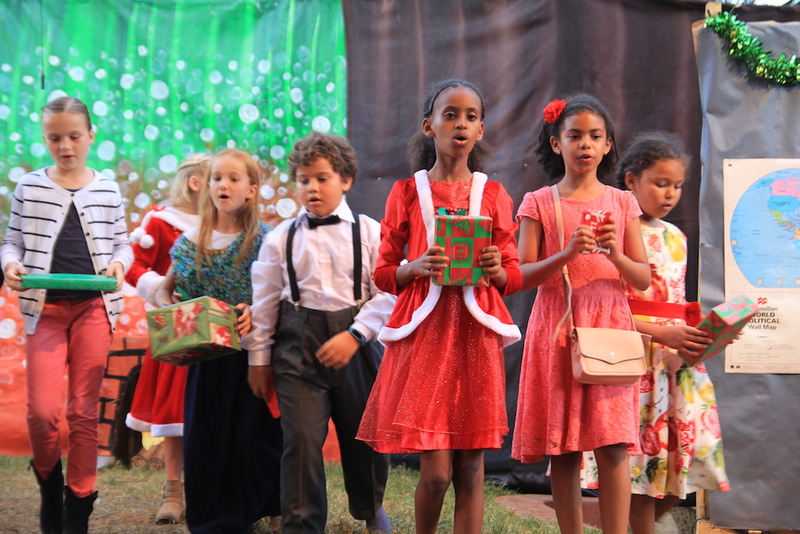 The junior and senior schools held their Christmas productions on different nights this year. 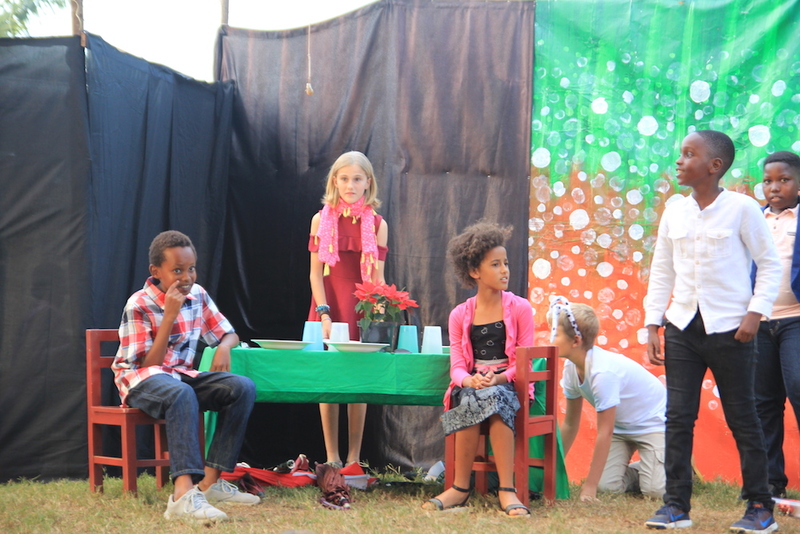 The junior school had a play about Christmas around the world, which also played for laughs. 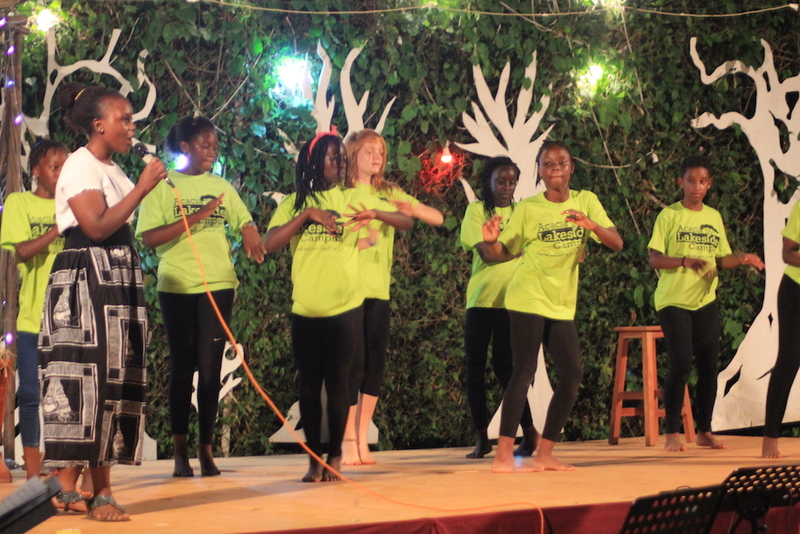 The senior school evening included great music, drama and dance. 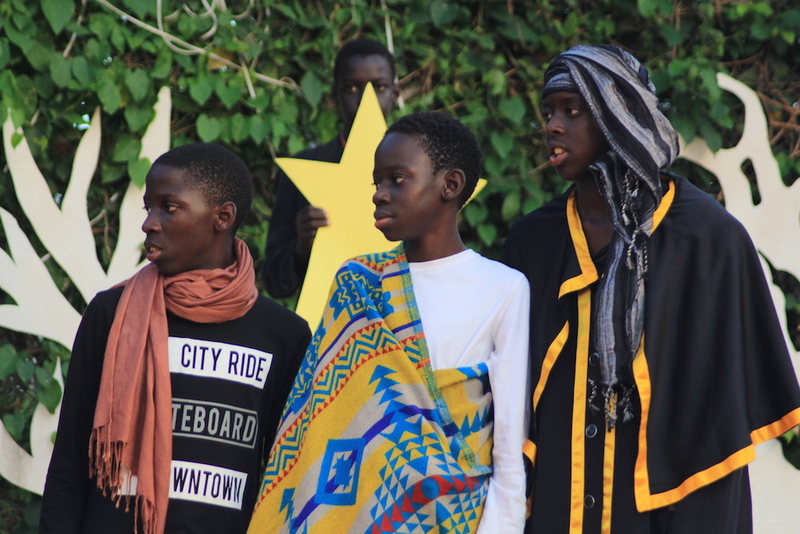 The production at the senior school was a chance to present a Christmas message to the parents, students and friends present. 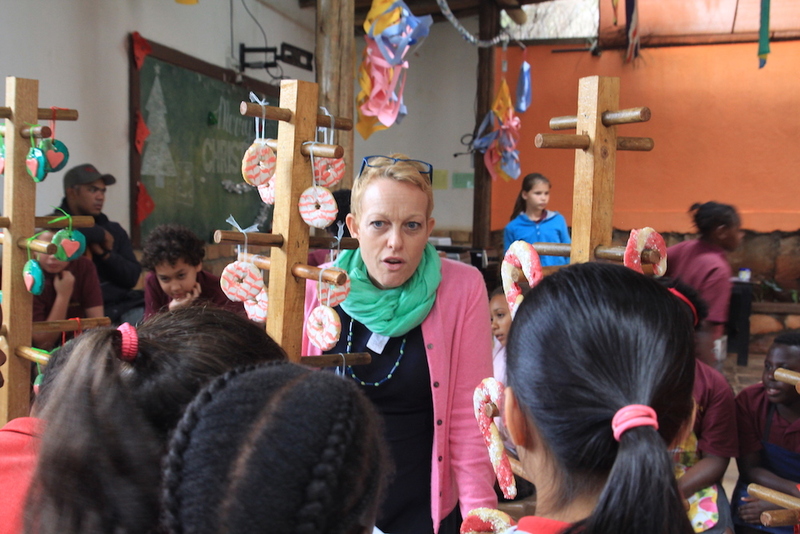 In the last week of term, Grade 7 (Year 8, Ruby’s class) went on retreat, and the rest of the senior school had project based learning, where different subjects collaborate on projects to make learning practical and fun. 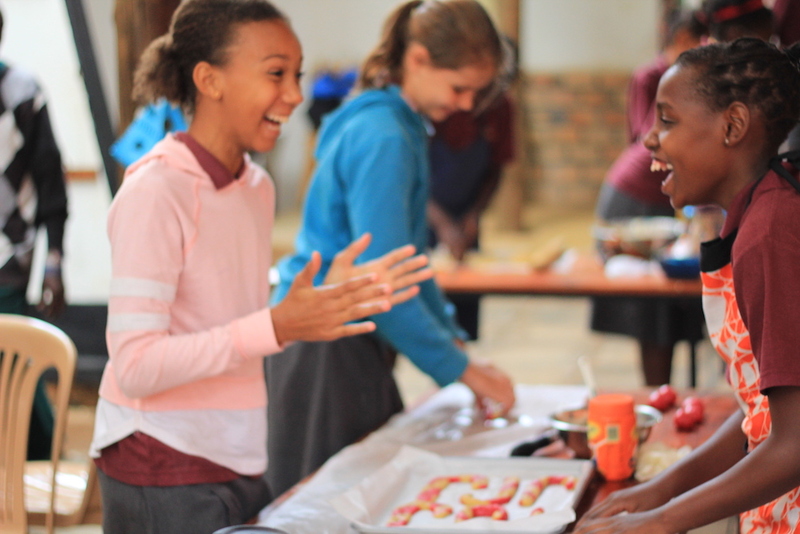 Grade 9 had The Great Acacia Bake Off, combining Maths and Art while Grade 8 studied Forces, with an egg drop challenge, building structures with spaghetti and zip-lining. Also last week the Grade 12 (year 13) students took a trip to Israel and visited the Holy sites where Jesus walked in Jerusalem. 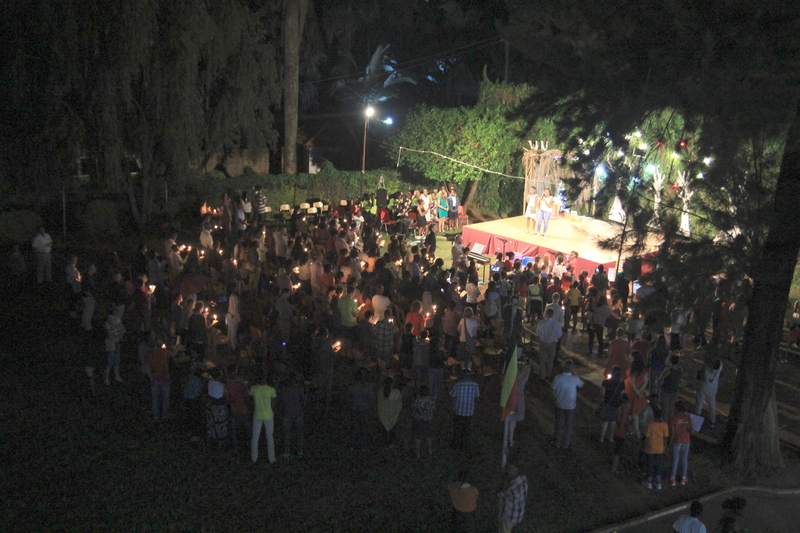 The Christmas production form the senior school roof. 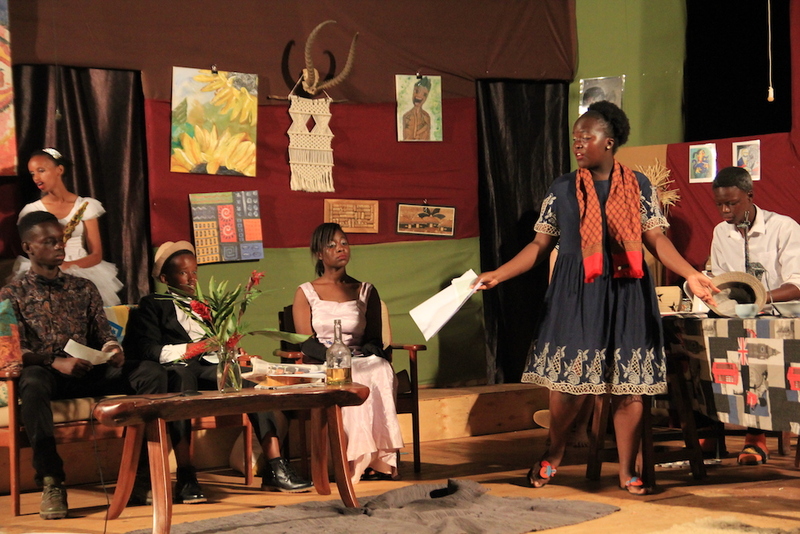 "You Can't Take It with You", the senior school play. Shepherds in the Grade 10 skit. A Christmas message from the principal. 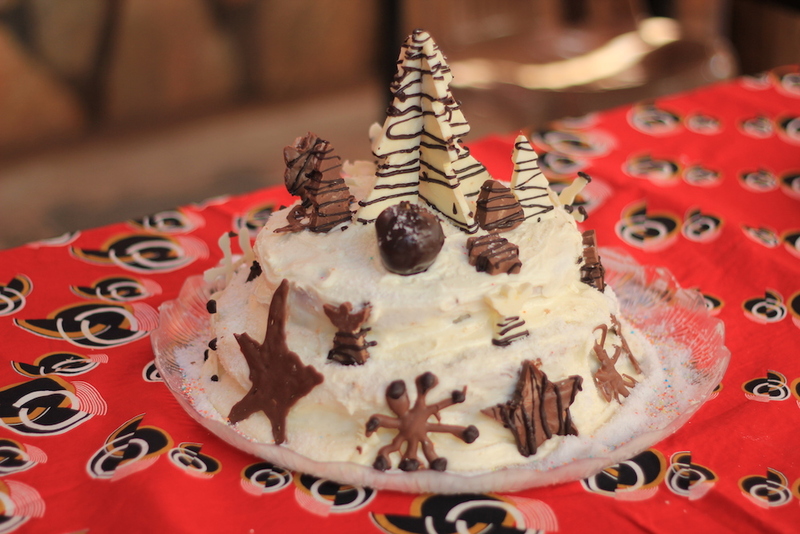 The Great Acacia Bake Off. Florence has been playing this term in the Under 9s football team in goal. So far, the team has been doing well. The league continues in January. 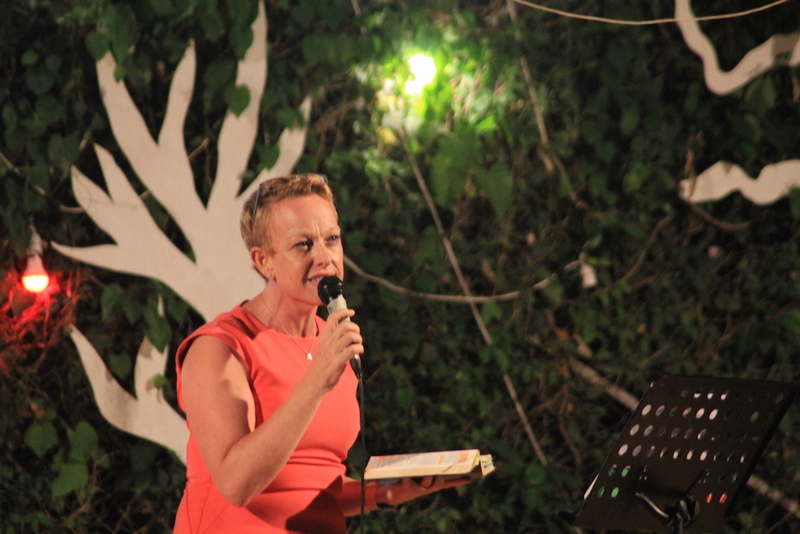 She was also in the Christmas play as a Dutch mother in a family celebrating Christmas. Jessica has also been playing football and she sang a solo in the Christmas play. She was so nervous, but she did amazingly well! Ruby and her friends performed as a dance troupe in the Christmas production and were very professional. She was also in the senior school play and has been playing in the Under 13s basketball team this term. Florence bringing a Christmas gift. Jessica preparing a Christmas meal. Ruby as Mr De Pinna. Ruby and friends dancing in the Christmas production. 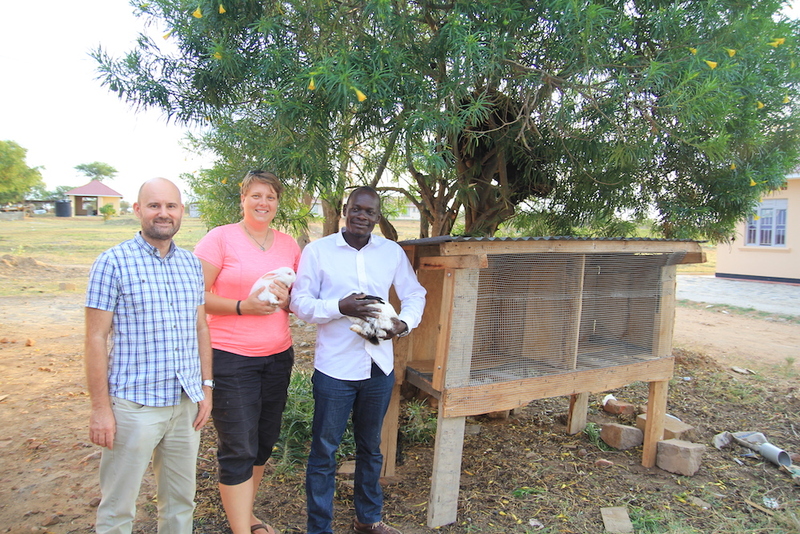 Give thanks for the successful rabbit training in Moroto and pray that the project will continue to bless the people living there. 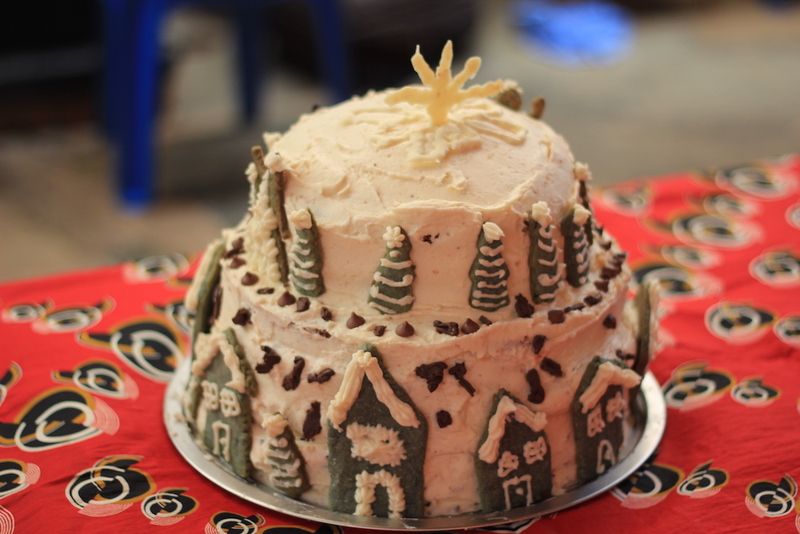 Pray for Ruby, Jessica and Florence for their faith and to see God's truth in Christmas. Pray for Eva, Hubert and Ronnie as they seek to honour God in their workplace and home lives.